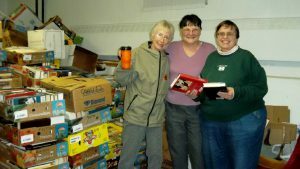 Who are the Friends of Delmont Public Library? We are a private, non-profit 501(c) (3), member-supported organization of volunteers, book lovers, information seekers, readers, and advocates who value the Delmont Public Library as a vital community resource and actively promote its continued growth and excellence. We are united to promote the use of the library, support life-long readers, expand the scope of library programs, and provide assistance where needed. The Friends meet the second Monday of the month at 6:30 PM at the library. 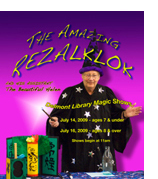 The Friends promote and support existing library programs, raise funds to provide additional library resources, take on special projects at the library’s request, and sponsor adult and children’s programming to promote community awareness. The Friends also sponsor ongoing special interest activities such as writers groups and a book club. The Sunday Book Club meets at the library at 2:30 PM on the 3rd Sunday of each month except December. Members take turns selecting the book for each month. There is no charge to participate. The Dawgs are an adult writer’s group that meets the second Wednesday of the month at 10 AM at the Delmont Presbyterian Church. DAWGs is open to new members at all levels who enjoy writing. Members critique and encourage each other and hone their creative skills through monthly writing exercises. The Knotty Knitters get together each Thursday evening at the Library to work on personal knitting and crochet projects and to learn new stitches and techniques. Open to all needlework enthusiasts at any level from beginner to advanced. A $15 annual donation is collected for the library. Throughout the year, Friends supports or sponsors a variety of special interest programs for children including the annual Children’s Summer Reading Program, the Young Writer’s groups, and children’s craft programs. Other programs have included a competitive chess club, interactive story times, and the American Girl Pioneer Series. Laughter as Therapy with David Russell, M.Ed. In fulfillment of our mission, the Friends have raised funds to purchase many items for the library, including shelving for the ongoing used book sales, a television for video programs, folding chairs and a table for meetings, a vacuum sweeper, a multi-function copier-fax-scanner, $5,000 of additional book shelving, a book cart, as well as funds for web redesign and hundreds of dollars for large print books, adult fiction and children’s books and materials. Join Us – It’s All Among Friends!